The Jaguar is an iconic model for Bass Cat. With a 21’5” frame, it dresses up really well for engines from the massive 350 Verado to the chosen 250 models. The 7” deeper bow rise on this hull is more than any other model and eats the water. A Jaguar is the only boat for those who share the passion to have the best. It truly is the last boat most will ever own. 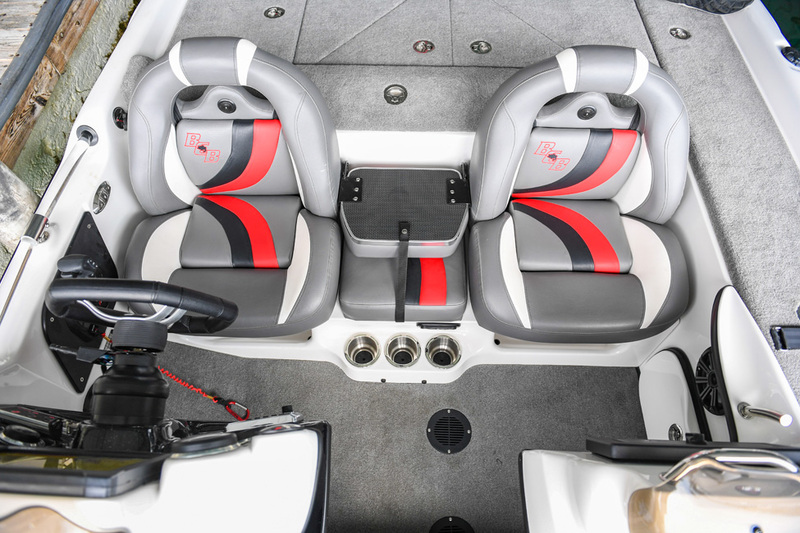 This model has storage areas innovative to bass fishing. The scissor storage system holds up to 16 tackle boxes in slide out trays (8 STD). Additional box trays sit forward of them to secure another 10 to 12 tackle boxes. No other bass rig has this much efficiency in a modular system; and what else would you expect at the top of pride? Behind the net scabbard are two frontal offset hatches. A 34-quart cooler resides at the deck step with a sandwich tray inside. Beside that is helmet storage that will accommodate two full-face helmets. A tool bar holder sits to one side of the step area. Of course, you have huge dual rod boxes and a port side tackle shelf for those baits you toss aside. The fairing-style console with café windscreen is massive; while the passenger console (opt.) 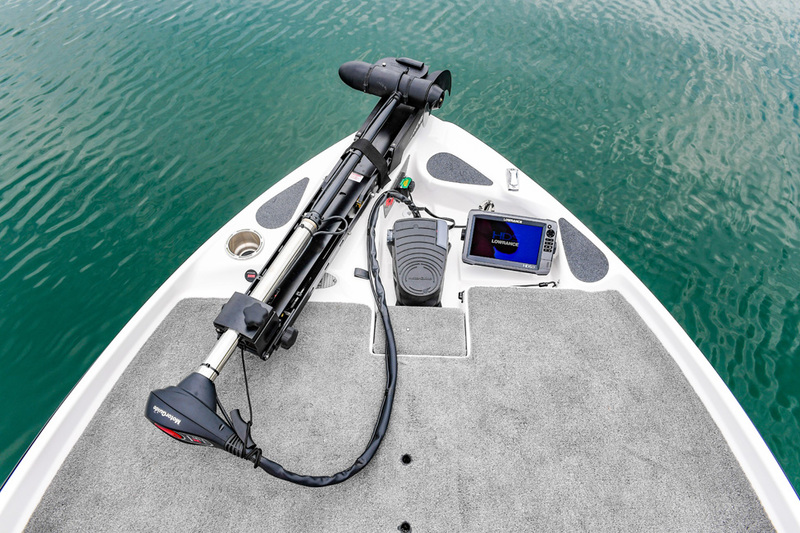 is smaller to allow this rig to fish like a single console boat. Most everything is standard on the Jag’, including a SONY Stereo with USB port for your digital music. A walk ramp down the port side allows moving from front to rear with ease. Decks extend to just over 6’ wide at the front deck with the back deck being even larger. 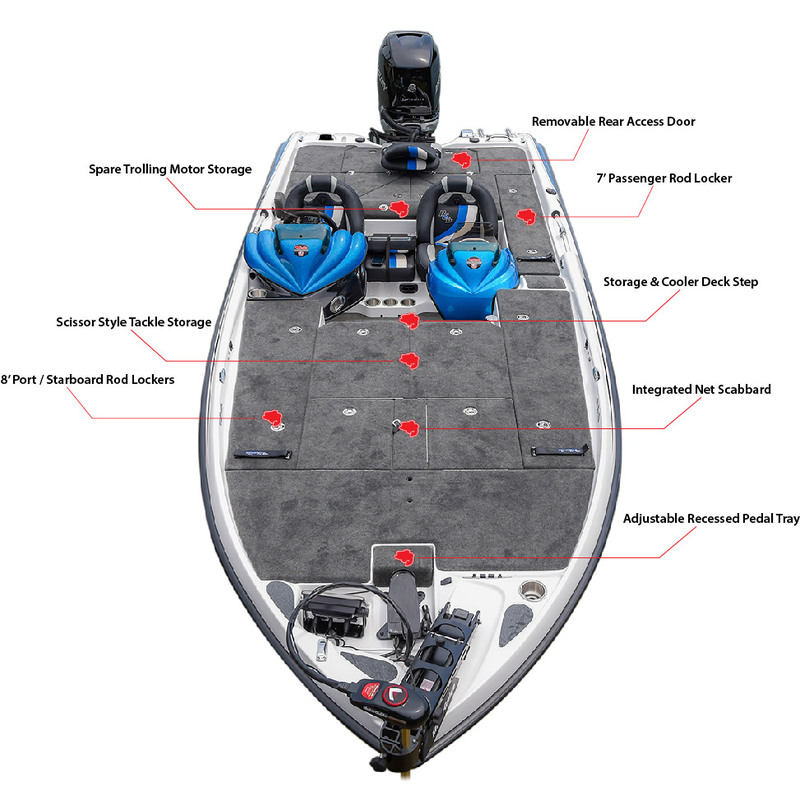 Plus, you have a storage to place a spare trolling motor. Couple this with a storage for your spare prop, and the oil tank and you’re all set. We wanted to build a rig that exudes elegance and exceeds expectations of luxury; and we think we have! CALL BOATMASTERS AT 925-443-5775 TO ORDER YOUR BASSCAT TODAY!